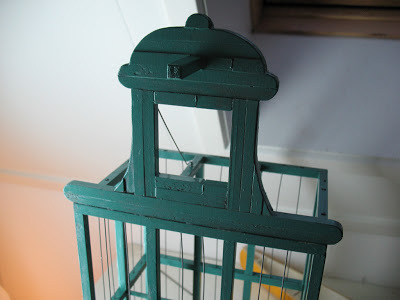 Here an update on the birdcage, changed the colour from brown and white to green, makes the profile stand out much more. All the metal wires are in, only need to make a base still and figure out how to attach the door with a springloaded locking system. Way much more work than I anticipated.